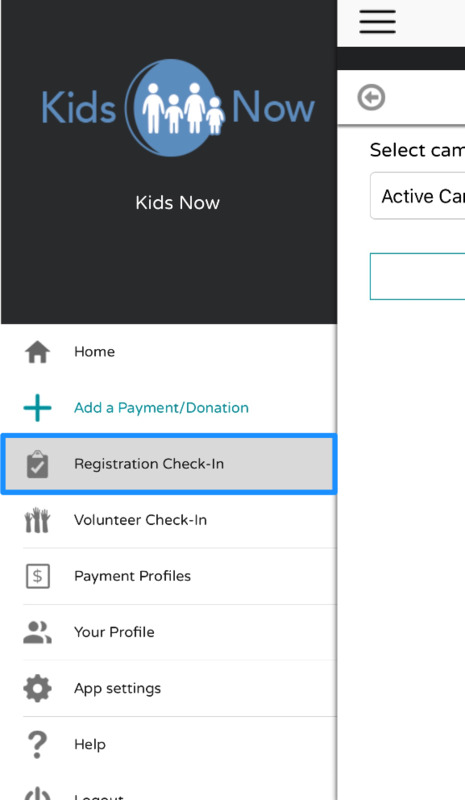 You can access Registration Check-In from the side menu, or using the button on the Home Page. 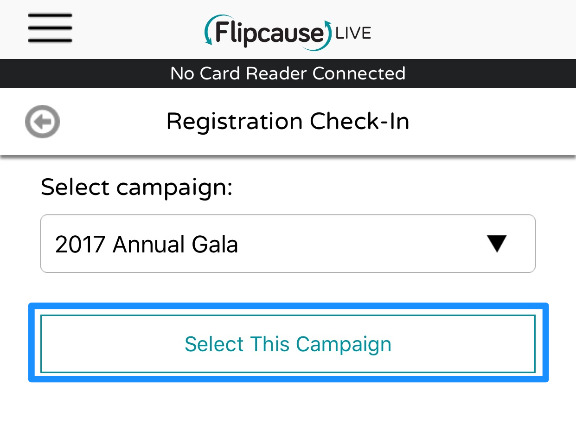 Find your registration campaign using the dropdown menu, then tap Select This Campaign. Please note that it may take a minute or two to load large lists. 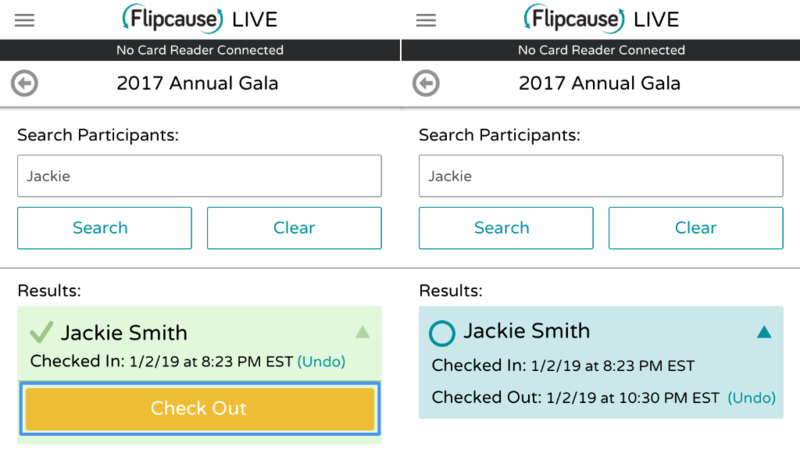 Look up your participant by name using the search bar, or below you can browse through your participant list. 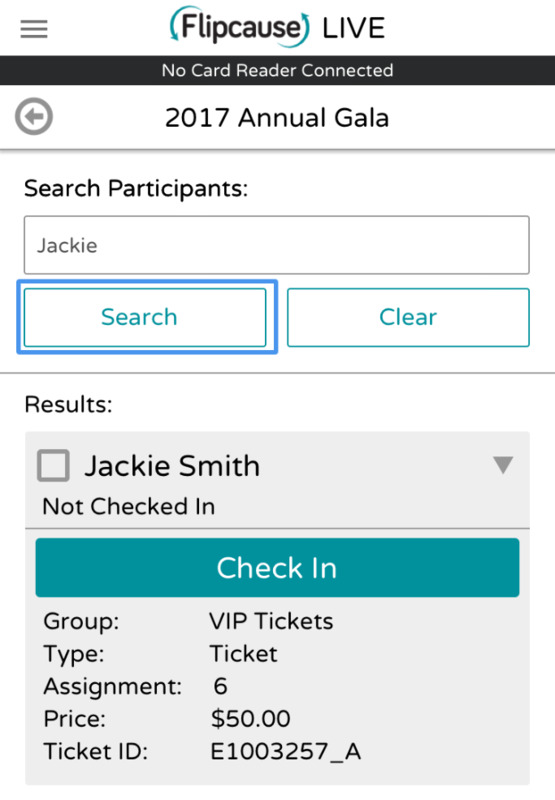 Once you have found the Participant’s name, tap on the arrow that will drop down the participant’s registration information, and tap “Check-In”. Your participant is now checked in! 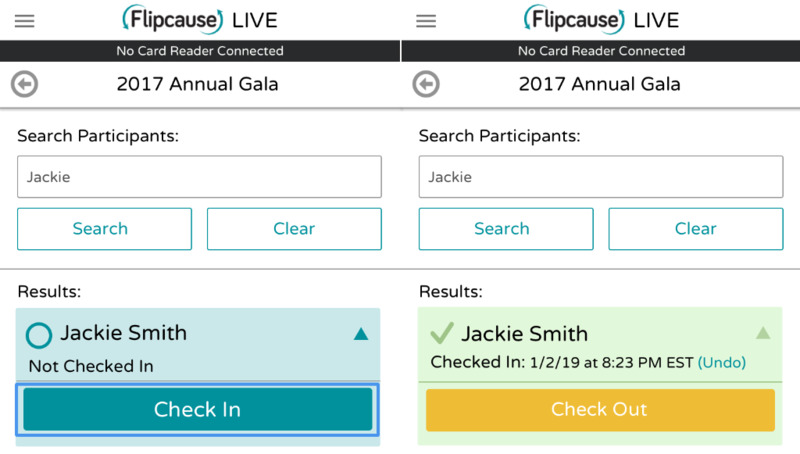 The app will automatically add the date and time timestamp to this check-in, which will be logged in your database and available in reporting from the Flipcause Dashboard. Similar to checking in, tap on arrow next to the participant you'd like to check out, and tap the Check Out button. This will add a date and time timestamp to the check-out and log it to your database and make this data available in reporting. You can also tap the Undo linked text if you unintentionally checked someone in our out. Clicking Undo will erase the previously-logged timestamp data, and will not add a new timestamp for checking out.